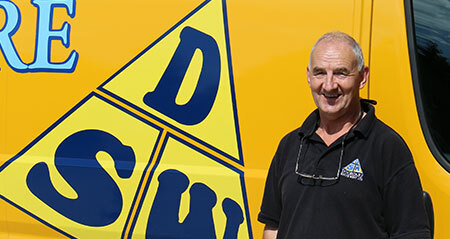 "At Doorcare South West we have a professional team on hand to install and repair fire doors for industrial, commercial and domestic applications throughout the South West." 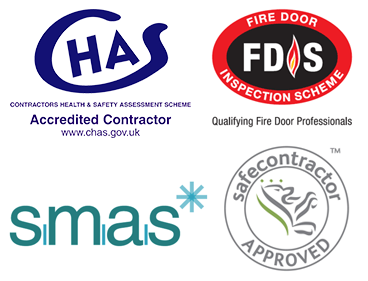 Within our team we have a qualified inspector with a Fire Door Inspectorate (FDIS) Diploma, along with a team who have each been carefully selected to ensure a quality fire door service that you can rely on. 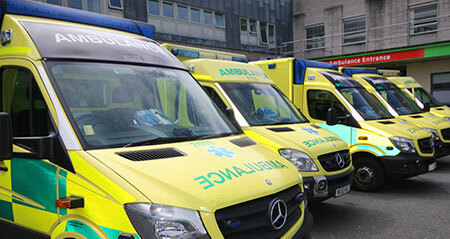 We take special care to perform each installation to the highest of standards with safety always being taken into account, and as such we are accredited with CHAS, SMAS and SafeContractor. We will be able to work with you to find a fire door that is fit for the purpose and is in a design that will suit your building's design and your specific requirements. 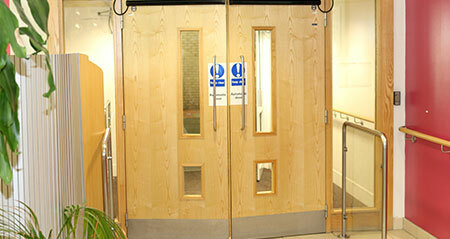 If you wish to find out more about the range of fire doors that we supply then please get in touch with our team today. 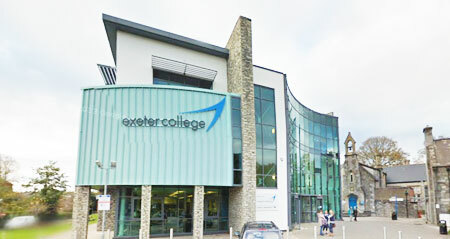 We offer a wide selection of fire doors for use in schools, colleges and universities to keep students, staff & visitors safe in the event of a fire. With a professional team of installers we at Doorcare South West are able to supply and install quality fire doors within homes. At Doorcare South West we are able to install fire doors for businesses using a team who always aim to provide the highest of standards.